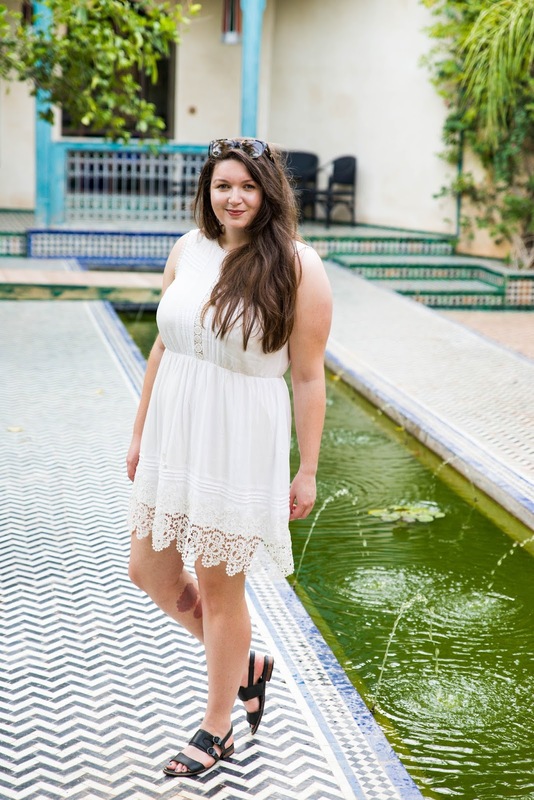 As you may have seen in this post, we loved our riad in Fes so we thought a couple of looks while we were there. Nothing too exciting, just my go-to holiday outfits. Unfortunately this is my last outing of this trusty white dress as I am a mucky puppy and stained it, then left stain remover on it too long which then ate my dress! Simply paired with my Barbour sandals!